How is Earth’s sea ice faring in our warming world? Arctic sea ice in September 2012, when it reached its smallest extent ever recorded. Credit: NASA/Goddard Space Flight Center Scientific Visualization Studio. Arctic sea ice volume (the amount of three-dimensional space the sea ice occupies) and extent (how much sea ice covers the Arctic Ocean) have been declining since record-keeping began in the late 1970s and prior. 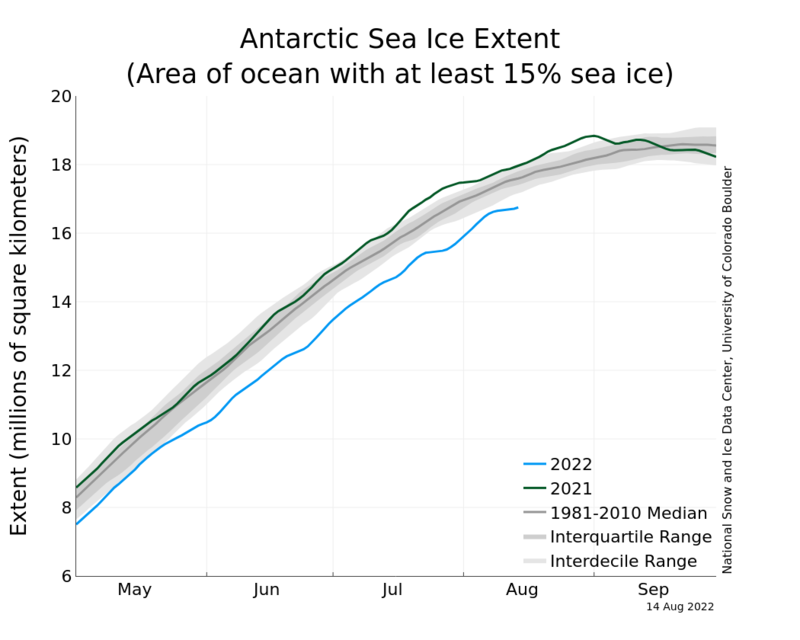 Additionally, Antarctic sea ice extent is currently below the long-term average of prior decades since 1979, when scientists started keeping track.